Before-During-After: Thoughts about the CIVIL WAR Game? My friends, on Thanksgiving Week, I have a lot to be thankful for concerning FishDuck.com and all of you! I did not anticipate the comments below the article to become as much fun as they have. We are the only Oregon website that is guaranteed “TROLL-FREE” because I enjoy ruthlessly deleting offending comments that violate our rules. 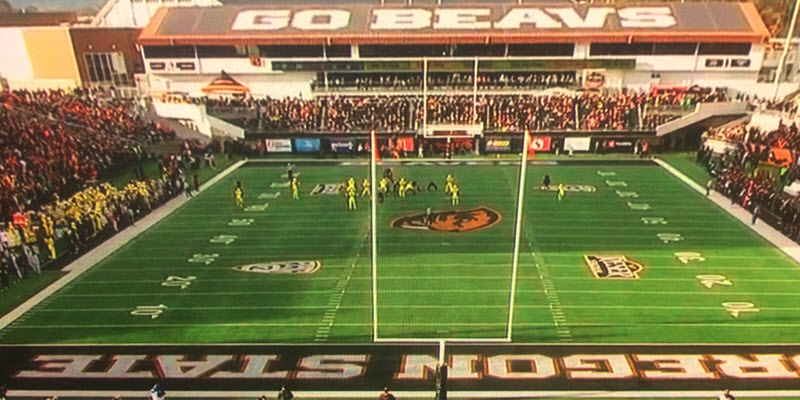 The Beavers do, however, have one of the nation’s worst defenses. Once they repair that? They will be a formidable conference opponent for everyone. For now, Oregon should win by a 48-31 type of score. But the question is — will the coaches allow it to happen? If the Beavers are within 14 points going into the fourth quarter? They can score a bunch of points and win this Civil War Game and deflate much of the progress made by first year coach Mario Cristobal. I worry about a number of aspects of the game, but something that has been demonstrated to me often this season is the inexperience of this coaching staff and how they have navigated the conference games. They have to learn everything for themselves the hard way, instead of learning from the prior experiences of recent Oregon coaching staffs. Will they truly understand the importance of this game and have our young warriors ready for 60 minutes of spirited play? Just writing that is making me ill. So — give fellow fans your thoughts before, during and after the game on Friday, and GO DUCKS! Below is my favorite Civil War Video, and let’s hope it turns out this way!